KYLE KETCHUM and his three best friends, MICHAEL, NIA, and SKYLER, live in White Tanks, Pennsylvania, which just happens to be the location of one of the creepiest graveyards in all of America. Once known as a bustling boomtown of happiness, prosperity, and hope, White Tanks has become a frightening, old, steel town, known mostly for being ground zero of the infamous nuclear meltdown that took place on Marathon Island 30 years ago. 250-page, fully illustrated, paperback book. SHEA STONEBROOK is a typical 10-year-old girl from rural Pennsylvania. The problem is, she’s a troublemaker. From not listening to her parents, performing badly in school, and everything in between, Shea is giving everyone a reason to give up on her. That is until one fateful day when an imaginative visitor decides to shape her point of view and offer her access to a place she never knew existed. 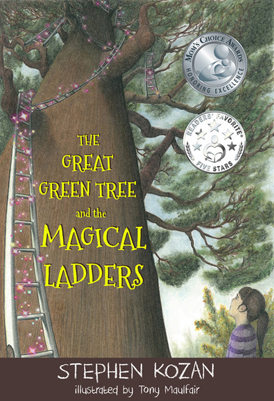 In order to achieve success, she will first have to accept responsibility for her actions, and only then will she be granted access to each new magical ladder within a mysterious world of enchantment, understanding, and life lessons known as The Great Green Tree. AFTER A TRAGIC ACCIDENT claimed the lives of his parents, twelve-year-old Raymond Locke realized all he had left was his beloved Grandfather, D.L. Natives of a small town in Mitchell, South Dakota, Raymond and his Grandfather share a special bond together. Recognizing that the time is right, D.L. decides to pass along an extraordinary gift to Raymond: a journal. He instructs his Grandson on the importance of documenting his life as he transitions from childhood into adulthood. Reluctantly, Raymond agrees to his Grandfather’s wishes and begins a story only he can illustrate. 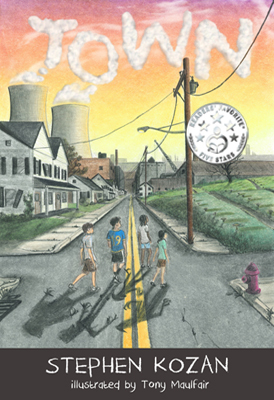 For the Locke boys, the journal is a reminder that love and life carry on forever. 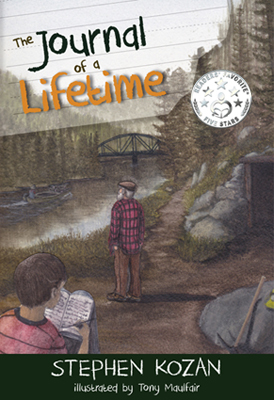 Follow the bond between Ray Locke and his grandfather as told in Ray’s own words during this emotionally twisting tale. Transitioning from boyhood into adulthood, Ray will experience the ups and downs of life one journal page at a time... ​All roads lead to love. 100-page, fully illustrated, hard-cover book.